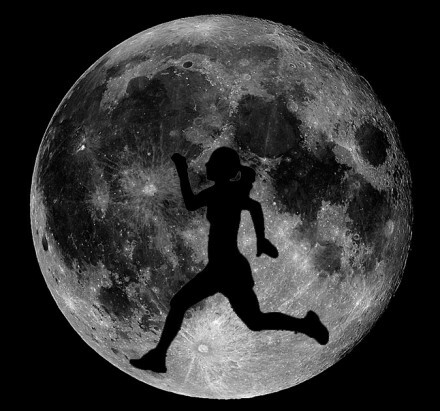 ​​Full mOOn 50K is the Ultra Trail Series 2014-2015 season kickoff race and a celebration event honoring birthdays of favorite AURA Queens. The race is great for first time trail and ultra runners, pavement pounders and PRs! 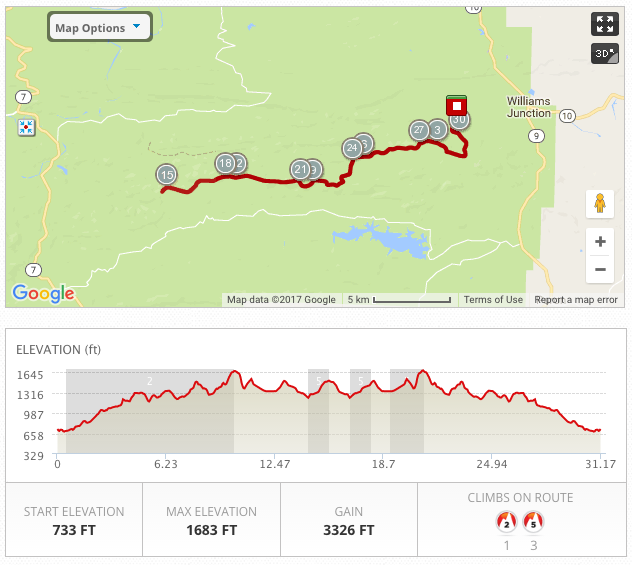 The out-and-back course is set on rolling Forest Service Roads . ​The run starts at Camp Ouachita Girl Scout Camp in the Ouachita National Forest. There are restrooms onsite and showers at the campground nearby we have paid for your use. So plan to stick around for the after-party. This year, we're serving breakfast just like the old days. But we'll still have the regular goods and super cold watermelon for sure! ​​Bring your running family and friends. Spectators are welcome and will probably be recruited to volunteer! (See our volunteer page for opportunites). Please carpool if you can! Parking is limited to the west side of Highway 324. NO PARKING ON THE EAST SIDE OF THE ROAD. (The side closest to the camp is off limits.) NO EXCEPTIONS. The Forest Service is very serious about this and will ticket and/or tow your vehicle. Follow parking directors as you pull in. There is no fee for parking unless you decide to park on the wrong side of the road - the ticket is $240. New from Camp Ouachita: NO DOGS Allowed.​​ The camp is handling all cabin reservations this year. If you'd like to get in on one of sweet A/C kitchenette sleep spots, visit their website. ​FOR CAMPING: We will be paying for the two group campsites again. There is additional camping at the Lake Sylvia Campground, which is managed by the Forest Service. They don't take reservations, and you pay at the gate to the campground. Both camping options are first-come, first-served, so get there early to get your spot! The 50K starts @ 7:00 p.m. for all runners. Trail briefing, and AURA announcements, etc. @ 6:45 p.m.
Packet pick up starts at 5 p.m. for 50K runners and 6 p.m. for 25K runners. If you arrive earlier than 2 hours before your race, be cool and wait for us to get set up before asking for your packet. The course is marked with white and orange spray chalk & glow sticks with extra of both at the three turns. If you make more than 3 turns, you might be running a different race. Yes, the 25K is a bit long (half a mile), but the 50K is the correct distance. We have three staffed and stocked aid stations at approx. miles 3.5, 7.5 & 15.5. There is also one water-on-the-side-of-the-road aid stations at approx. miles 11. You'll need to bring a water bottle; there are no cups at the water-only aid stations, just 5 gallon water canisters. Please do not pour this on your body - it goes IN the body only! Expect heat, humidity, hills & darkness. Bring a headlamp, salt and a 20 oz + water bottle. ​​Bug Spray -- Good idea! 25K T/A aid station cutoff is 10:15 pm. If 50Kers don't meet the cutoff, they become 25Kers, no exceptions without race director's pre-approval. ​If you would like more miles, you are welcome to turnaround again at the finish after signing out. 50Kers arriving at the 50K T/A aid station after Midnight will be required to wait for the sag wagon. Once the sag wagon departs, anyone encountered still heading out will be transported back to 25K T/A aid station or finish as determined by sag crew. Any runners who have not exited the 25K T/A aid station by 2 a.m. will be transported to finish by sag wagon. Aid station workers are not sag crew or transporters. You may have to wait up to two hours to get a ride back to the finish. ​ All runners must finish by 4 a.m. or they will be picked up by course sweeper. Please do not show up between 7 p.m. & 8 p.m. and start running. If you cannot complete the 50K course in 9 hours, please run the 25K and try again next year. ​Starting before 7 p.m. increases the likelihood of getting lost and taking longer than 9 hours to find you! Click for directions to Camp Ouachita from Little Rock. Click the map below to view an interactive terrain map of the Full mOOn race route.